The Connoisseur® collection from Dexter Russell offers an expanded line of knives featuring an international flair. 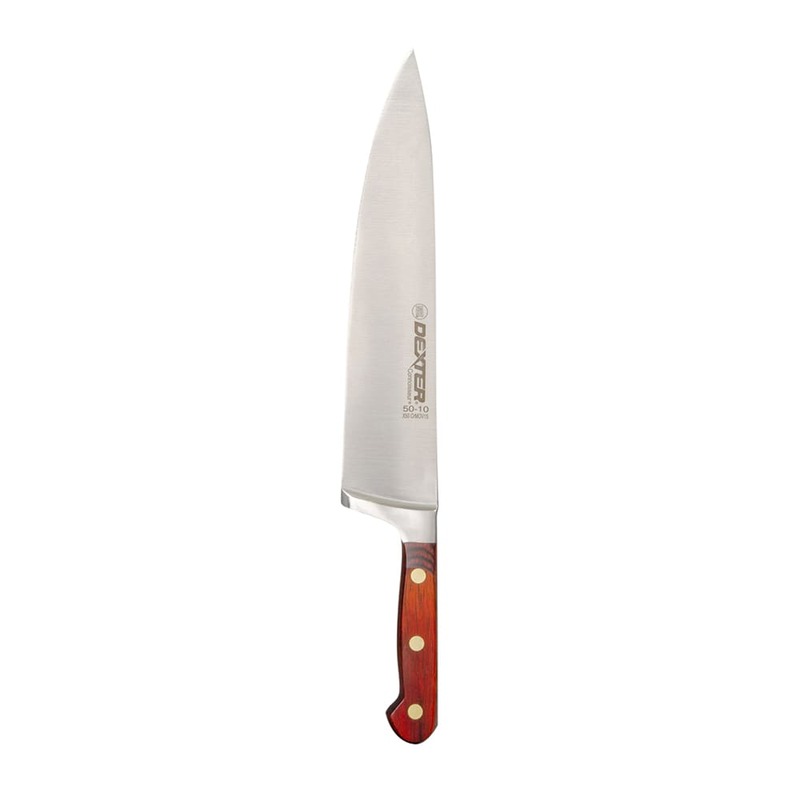 This 10-inch chef knife is forged with high quality, stain-free high-carbon steel and is heat treated for superior hardness and edge holding. The handle is fashioned from rosewood and is infused with polymers and resins and riveted in place for a permanent hold. This chef knife is perfect for chefs who are in the front of the venue or for anyone who wants to showcase the beauty of this blade.